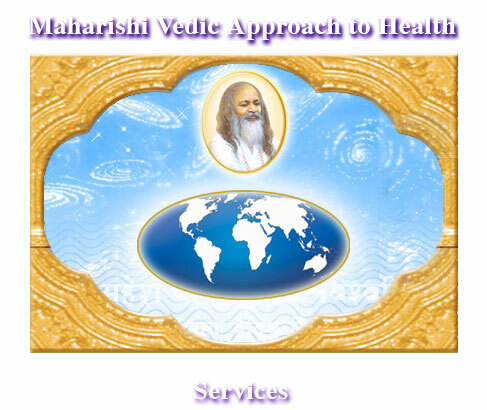 Maharishi's Vedic Approach to Health through the Vibrations of Consciousness was launched by Maharishi in the year 2002 as part of his Global Health Programme. Treatment sessions consist of listening to prescribed vibrations of consciousness - sounds of the Veda and Vedic Literature - in the comfort of one's own home through the internet. Scientific research by neuroscientist Professor Tony Nader has shown an exact correlation between the structure of Vedic Vibrations and the structures and functions of the human physiology. Through the vibrations of consciousness it is possible to enliven the most fundamental level of physiological functioning - the inner intelligence of the body - and correct disorders. The discovery of consciousness at the basis of physiology has re-established in the scientific age the most ancient, the most fundamental, and the most innocent and problem-free system of health care: consciousness-based health care.